Get your team up and running with Redbooth’s all-in-one remote team software and watch their productivity skyrocket. When your team is spread out across multiple offices, you need a remote team software system you can depend on to keep your team focused on shared goals. What if you could assign tasks, manage projects, meet over HD video chat, and track your remote team’s progress...all within a single platform? With Redbooth, now you can. No matter where your remote team is located, shared workspaces are essential. That’s why Redbooth takes you beyond task management, beyond project management, and delivers a collaboration platform where your remote team can unite and grow. The right remote team software should make your life easier. That’s why Redbooth was designed as as all-in-one collaboration solution. Save hundreds of hours of wasted time by staying out of your inbox. Redbooth makes collaboration efficient with simple-to-use HD video conferencing, chat, project and task management, and shared files. See what’s on track and what’s in danger of falling behind. 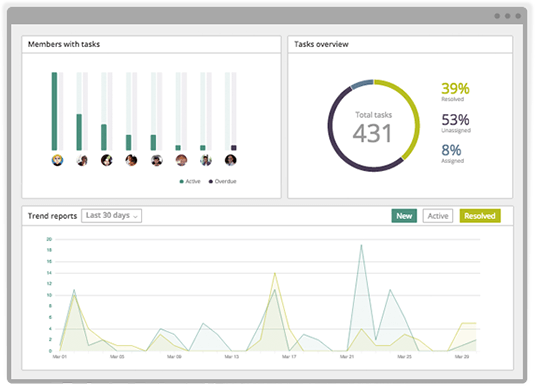 Robust reporting features allow you to track team progress with ease. You can assign and manage tasks from the dashboard, or even within chat. Now, you can delegate with confidence or follow along with your team every step of the way on tasks, projects, and deadlines. 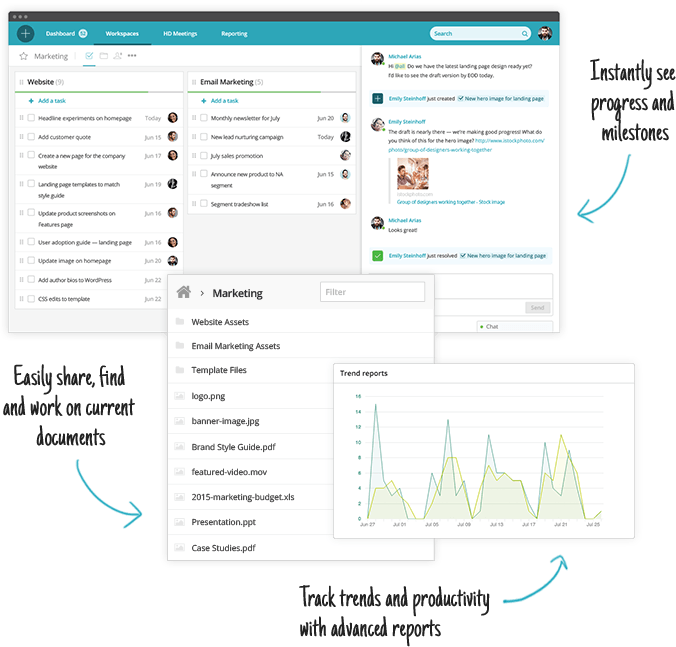 Discover the power of Redbooth’s award-winning remote team software. Start for free today and see why thousands of companies are using Redbooth as their online remote team software solution.